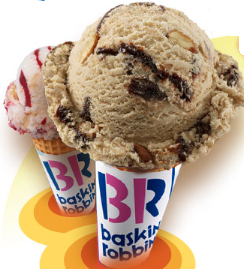 Get started here>> FREE Ice Cream Cone at Baskin-Robbins! Baskin-Robbins is offering FREE One Scoop Ice Cream Cone or Cup for a limited time when you download Baskin-Robbins Mobile App, then check your deals tab to view offer and don't activate offer until you're at checkout as coupon last for 15 mins.. Enjoy!